That's it from us tonight. Join us tomorrow as Goa take on Chennaiyin at Fatorda, in the two sides' last league game of the season. Until then, this is Aaditya Narayan signing off. After an even first half, Jamshedpur blew Bengaluru's second-string away in seven second-half minutes where they scored four goals. Morgado grabbed a brace. Calvo scored a superb free-kick. These, after Soosairaj had given them the lead with a superb curling strike. Bengaluru had Gursimrat sent off, but this result won't matter to them. They'll go into the semifinals, with all their big guns in the side, and take it from there. 90+3' PEEEEP PEEEP PEEEEEEEEEP! That's full-time, and Jamshedpur's season is over with an emphatic victory. 90+2' Nearly for Swarup Das! He's on the end of a cut-back from Morgado, but Poirei has cut down the angle and stood tall to block his shot. 90' Why has Soosairaj taken that shot first-time? Super cross to the far post from Calvo and Soosairaj is in acres of space, but he decides to side-foot volley it, and it goes high. 89' Semboi has a chance! He's got on the end of a superb ball from Luisma, and then when he needed composure, he lashes at it, and sends it wide. 86' How has that not gone in?! Dhanachandra has somehow missed that! All he has to do is slot that across goal for Morgado to tap in for his hat-trick, instead Dhanachadra goes for a shot and hits it awfully. 85' Xisco's free-kick once again is towards the far-post, but Semboi's header is tame and wide of Rafique's goal. 84' Bengaluru make their final change of the night, as Khabra comes on for the last few minutes. 80' Jamshedpur make their final change of the game, as Tiri goes off. The next ten minutes will be the only minutes he's missed all season. 79' Swarup Das unleashes from long range, but that's way too high and Poirei can watch it sail over. 77' Jamshedpur have changed their 'keeper, and that's Rafique Ali Sardar's debut. 76' Cuadrat makes his second change of the day. The BFC Reserve Team captain Myron Mendes comes on. 72' Xisco's corner is cleared by Tiri, and Arques is happy to play it away calmly. 72' Semboi wins a corner, playing the ball behind off Augustin. 69' How has Augustin Fernandes missed that?! It's another superb cross from the right flank, and Augustin has a free header from six yards out, and somehow, he's put that wide. 68' Gursimrat is sent off for a bad foul on Morgado. That's an easy decision for the ref. Bengaluru will finish the game with ten men. 66' That's a corner for Bengaluru after Dhanachandra plays it out. That's a horror show from the assistant who hasn't seen a blatant foul from Parag on the Jamshedpur left-back. 65' Tiri's gone in the book for a foul on Parag. That's a bad challenge. 63' Soosairaj has won that back from Parag, and looked to curl another one towards the far post. But Poirei has palmed this away for a corner. 61' GOOOAAAAAALLL! CALVO HAS SCORED FROM THE FREE-KICK! What a free-kick! That's gone up over the wall and back down in no time. Superb whip on it, Poirei has got to do better. That's in the middle of the goal, and it's been palmed in. 58' Bengaluru have made a substitution, as Parag Shrivas comes on for his debut. 57' GOOOOOOAAAAAAL! THAT'S ANOTHER FOR MORGADO! WHAT A PHASE OF PLAY! Jamshedpur get in behind the Bengaluru defence, with a super ball from Calvo through to Jerry. He plays it across to Morgado, who takes a few touches, before slotting it home. 56' GOOOOOAAAAAALLL! MORGADO HAS DOUBLED JAMSHEDPUR'S LEAD! That's the old one-two! Superb from Calvo, who finds space in midfield, and then plays a superb cross over to Morgado on the far post area, and that's a superb header past Poirei. 54' GOOOOOOAAAAAL! JAMSHEDPUR LEAD THROUGH A SOOSAIRAJ STUNNER! What a goal that is, what a strike that is! Lovely ball out to the left from Morgado, Soosairaj has cut in, and curled one into the top corner, superb goal! 53' What a run from Soosairaj! A little too selfish at the end of it, though! He's run at Rino and beaten him, but Gursimrat's covered beautifully! Morgado was there in space in the centre, and Soosairaj should've looked for the square ball. 52' Kean Lewis drives forward on the left flank, before cutting back in, and Xisco's attempted through-ball to Semboi is overhit. 49' Jerry's toyed with Gursimrat, but his cross first is cleared by Kima, and then by Gursimrat. The pattern of play continues, with Jamshedpur doing the bulk of the attacking, and Bengaluru defending well. 48' Xisco's far-post corner is met by Gursimrat, but he can't make enough contact on it to put it back across goal. 48' Boithang looks for Semboi on the by-line from a throw-in, and Tiri's in the way hacking it behind for a corner. 47' A spell of Jamshedpur possession ends with Luisma winning it from Jerry and then being fouled by the Jamshedpur man. 46' PEEEEEP! Jamshedpur get us back underway at The Furnace. Two goals, two defensive errors. One missed penalty. Lots of Jamshedpur possession with little penetration. Lots of superb Bengaluru defending. Very good first half. Back in a few minutes for the restart. 45+2' GOOOOAAAAAAALLL!!! AUGUSTIN FERNANDES ATONES FOR HIS ERROR AND IT'S 1-1! How has that gone in? What has Poirei done? He's dived over the ball, after Semboi's made a super challenge on Dhanachandra. It's fallen to Augustin, who's finished superbly! 45+1' It's a dangerous ball in from the left, but Xisco gets in the way and puts it behind. 44' It's taken 43 minutes and 58 seconds! Soram Poirei has a meaningful touch of the ball, as he catches a cross from Calvo. 43' Calvo's corner is towards the near post, where Arques meets it, and that's a goal kick for Bengaluru. 43' This time, Jerry gets in behind the Bengaluru defence on the right flank. Gursimrat comes across, cleans up and concedes the corner. 40' Morgado's shot from outside the box, is superbly blocked by Gursimrat, who's been immense at the back for Bengaluru. 39' Jerry looks to weave his way past two defenders, and successfully beats Gursimrat, but Kean is there on the cover, and Bengaluru clear the danger again. More very good defending. 38' Semboi is almost put through on goal by Xisco this time, but Augustin is in with a last-ditch challenge to deny Bengaluru. Good defending. 37' Soosairaj! Closer this time! He's run at Rino again, dropped the shoulder, cut back in, and just about shaved the far post. Poirei was rooted to his spot. 36' Once again, Jamshedpur are playing all in front of Bengaluru. When they try to play the pass in behind, it's overhit, towards Calvo, and Bengaluru have a goal-kick. 35' Again, Soosairaj cuts in. Again, he's denied by a superb tackle. It's Sairuat Kima this time. 33' Soosairaj makes a superb run on the left flank, but Rino picks his moment to step in and cleanly wins the ball back. Superb defending from the experienced man at the back. 31' There's pinball in the Bengaluru box, but the youngsters are standing tall! Gursimrat and Kima, in particular, have been superb for Cuadrat's team at the back. 30' Soosairaj has the beating of Rino on the right flank, and his cross into the box is superbly headed away by Ajay Chhetri. 30' Subrata comes forward, gets a palm on it, and Jamshepdur are away on the break, before Luisma stops Calvo. 29' XISCO! He decides to take it on from way out, after finding himself in space. Subrata saves with a fingertip, and Bengaluru have another corner. 28' The corner's taken short, and back to Calvo. He crosses it in, and Sairuat Kima takes charge and heads it away from danger. Good defending. 28' Much better play from Jamshedpur down the left flank, as Morgado plays it off Rino to win a corner, that Calvo will take. 27' Jamshepdur go straight up the other end, as Arques plays Jerry through on the right flank. The youngster rushes his cross, and it's gone well over Poirei's crossbar. 26' SUBRATA SAVES XISCO'S PENALTY! That's an awful penalty, with no conviction. Subrata dives to his right and keeps it out. 25' PENALTY TO BENGALURU! TIRI'S BROUGHT DOWN EDMUND! That's lovely interplay between Luisma, Semboi and Edmund. The young man has cut back on to his right foot, and Tiri has caught him. 24' Xisco takes it towards the far post, and with Gursimrat attacking it, Subrata palms it behind for a corner. 24' Tiri heads a ball in behind under very little pressure. That's another cheap corner for Bengaluru, which Xisco will take. 23' That goal has clearly rattled Jamshedpur, they aren't even stringing a few passes together. Ferrando has seen enough, and has Bikash Jairu being readied to come on. 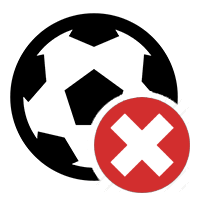 21' There's a foul on Luisma on the edge of the box - the referee's looked to play advantage - there's no advantage for Bengaluru - there's no whistle from the referee. Why? Nobody knows. 20' Soosairaj finds himself right by Boithang on the byline, but as he's tried to cross, he's missed the ball, and let it roll behind for a corner. 19' Xisco's corner is cleared only as far as Kean on the edge of the box. He heads it square to Luisma, whose volley is high and wide. 18' Luisma! That's another superb opportunity, as Semboi beats Dhanachandra on the left before a pull-back to Edmund, who lays it off to Luisma, whose shot is deflected behind by Augustin. 16' GOOOOOAAAAALLLL! SEMBOI HAOKIP HAS GIVEN BENGALURU THE LEAD! 14' Ajay is fine, and Bengaluru have the ball with Luisma, at the restart. 14' Ajay Chhetri is floored by Dhanachandra, who's led with his shoulder while competing for a header. The Bengaluru man is down. 13' Soosairaj carries the ball into the penalty area, and is given the freedom of The Furnace by Rino, but his final ball is poor! He tries to whip it into the far post area, but that's just very high. 11' Tiri plays the ball off Edmund, who closed him down swiftly, but that's hit the young man's arm, and the Jamshedpur captain has got out of jail. 11' Another neat one-two, this time between Calvo and Morgado, but Kima and Gursimrat, in combination, smash the ball away to safety. 10' Dhanachandra puts in a nice cross from the left wing, but Gursimrat is in the way ahead of Morgado, and gets a forceful header away. 9' Xisco and Luisma play a neat one-two in the middle of the park, and the former has tried to slip that through to Semboi and Tiri's in the way. The Jamshedpur captain may have done some damage to himself though. 7' Soosairaj looks to play Morgado in behind the defence, but Sairuat Kima is covering in behind. Didn't matter anyway, as Soosairaj was offside when he received it. 5' Soosairaj looks to push forward on the left flank, but Rino stands tall against him, and plays it off him to win the throw-in. 4' Calvo's corner is headed clear at the near post by Sairuat Kima, and then further away by Kean. 4' Jerry's away on the right flank, in behind Kean Lewis, but his cross is blocked by Gursimrat on the cover, Jamshedpur have a corner. 2' BFC are playing with three at the back, in Rino, Gursimrat and Kima. Kean Lewis at left wing-back, Boithang on the other side. They've started well, as they've looked composed in position. 1' PEEEEP! Bengaluru get us underway at The Furnace, in their all-white away kit. Jamshedpur in their home kit of red. The teams shake hands, take their commemorative team photos, and now Rino and Tiri will line up in front of the match officials for the toss. It's time for Jana Gana Mana in Jamshedpur. Rino Anto and Tiri head the queues in the tunnel, as Jamshedpur and Bengaluru make their way out onto the field at The Furnace. We're edging closer to kickoff, and there is a good crowd building up at The Furnace in Jamshedpur. Hopefully, there's a good game to boot. Jamshedpur are missing Cido, but Morgado comes back. Soosairaj returns to the starting XI as well. First start for Ajay Chhetri in a BFC shirt, and there are potential debuts for left-back Parag Shrivas, and midfield Myron Mendes. BENGALURU FC HAVE NAMED ONLY FOUR SUBSTITUTES, AS CARLES CUADRAT FIRMLY PUTS HIS EYES ON THE SEMIFINALS. We're just about ten minutes away from receiving confirmed team news from Jamshedpur. Bengaluru look to put gloss on another table-topping year. Jamshedpur just playing for pride. Which way is this one going? I'm Aaditya Narayan, and I'll take you through all the action from the JRD Tata Sports Complex. Cesar Ferrando's side are out of playoff reckoning, but the head coach reckons Jamshedpur will have to fight for their pride tonight, and ensure their home fans are sent back happy from the JRD Tata Sports Complex. 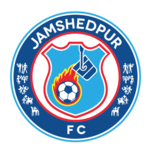 Can Jamshedpur end on a high? Remember, this is Bengaluru's first trip to Jamshedpur. The game last season was played at the Kalinga Stadium in Bhubaneswar, maybe to ease travel congestion for Bengaluru, who also had AFC Cup commitments at the time. Carles Cuadrat has already said that Bengaluru will use this game to give their youngsters chances. 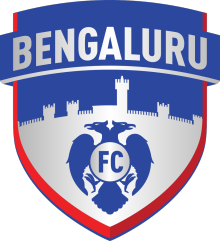 Sunil Chhetri, Udanta Singh, Gurpreet Singh Sandhu, Rahul Bheke, Miku, Juanan, Albert Serran, Dimas Delgado have all been left back in Bengaluru. Their fitness coach has stayed back in Bengaluru. Bengaluru FC will look to experiment with their squad ahead of the ISL semifinals in their final ISL league stage game against Jamshedpur FC at the JRD Tata Sports Complex on Wednesday. Bengaluru are three points ahead of FC Goa and will go into the ISL playoffs as the first-placed team. Even if Bengaluru lose and Goa win in their final league game against Chennaiyin FC, the head-to-head record between the two sides will separate them at the end of the league matches. Bengaluru defeated Goa both times this season and will play the team that finishes fourth in the ISL playoffs. This could be Mumbai City or NorthEast United. Before that though, Bengaluru will have to play fifth-placed Jamshedpur in an inconsequential game. Cesar Ferrando's JFC are four points adrift of the top four and are sure to finish in the top 6 and qualify for the Round of 16 of the Super Cup. They will only be looking at providing their fans a memorable night. The last time that these two sides met, Jamshedpur held Bengaluru 2-2 at the Sree Kanteerava Stadium. A lot has changed since then for both these teams. More than the draw, this game was famous for the emergence of Gourav Mukhi, the 'youngest goalscorer in the ISL' at 16 years. Mukhi was found guilty of age fraud and banned for the rest of the season by the All India Football Federation (AIFF). Given that he was a fan favourite in Jamshedpur, it will be interesting to see how the home crowd welcomes Bengaluru on Wednesday. 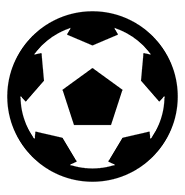 According to reports, Bengaluru coach Carles Cuadrat has travelled with only two foreigners for this match, Xisco Fernandez and Luisma Villa. Erik Paartalu is out for the entire season and Nishu Kumar sits out due to a red card suspension. Many others are expected to be rested before the two-legged playoffs for BFC. As for Jamshedpur, their marquee star Tim Cahill will not play a part in the match. When and where to watch: The Jamshedpur v Bengaluru ISL Live match will be telecast on Star Sports Network. Live Streaming on Hotstar. The game kicks off at 7.30 pm IST.